A monitor displays text and image data passed to it by the computer. A cathode-ray tube (CRT) monitor is the type that has been around for years and is large and boxy. CRT monitors are heavy and they take up a lot of desk space. They have largely been replaced by flat-screen monitors. However some are still used in the design industry since the colour accuracy and brightness of CRT monitors is excellent, and designers need to see true-to-life colours. Also, CRT monitors are generally cheaper than flat-screen monitors. Over the past few years, as they have come down in price, flat-screen displays have replacedCRT monitors. Flat-screen monitors are light in weight and they take up very little desk space. 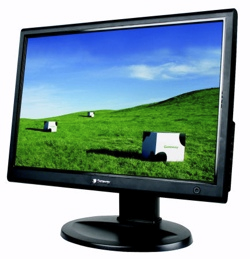 Modern flat-screen monitors have apicture quality that is as good as CRT monitors. 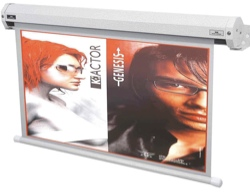 Digital projectors are used in situations when a very large viewing area is required, for example during presentations, for advertising, or in your home for watching movies. A projector connects to a computer, a DVD player or a satellite receiverjust like a ordinary monitor. The image is produced inside the device and then projected out through a large lens, using apowerful light source. If you want to hear music or sounds from your computer, you will have to attach loudspeakers. They convert electrical signals into sound waves. 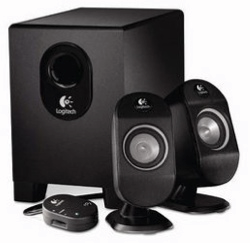 Loudspeakers are essential for applications such as music editing, video conferencing, watching movies, etc.